Trying to decide whether to , try out spread betting, or do a more traditional type of trading in stocks, currencies, commodities, or indices? Ultimately the best type of trading is the type that fits your trading personality, but here are some binary options online pros and cons to help you make your choice. Small Budget Can Still Trade – You can trade without a big bankroll. This is unlike many stock brokerages and forex accounts that require a few grand to get started. With binary options online you can open accounts with most sites for a few hundred bucks. This is perfect for many traders who are trading on the side and do not want to invest a lot. We like to say that most traders should start with a deposit of at least $500 if possible. This allows you to utilize better which is crucial for long term success. Low cost way to trade a lot of different underlying instruments. You can trade stocks to commodities to currencies to indices with binary options online. Some brokers offer 80 or more different assets for you to choose from. 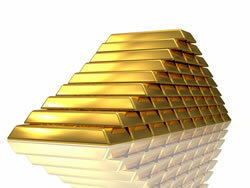 Where else can you trade and profit from commodities like gold or oil for $10, or even $100. Where else can you trade stocks like apple or google for $20? You can make binary option trades for as little as $1 (?). This enables you to have access to a wide range of markets, which means when conditions make trading impossible in one, you might find optimal conditions in another. There are many chances to find good setups. Big Returns Possible Swiftly – An advantage of trading binary options online is speedy returns. You can make one trade per day and make 75-90% profit if you choose. You could even trade faster expiry times and most people trade 15, 30 minute or hourly options. If you are really feeling the need for fast returns, you can even trade one minute options (). Trade different types of binary options online. Many brokers will let you not only trade High/Low, but also do One Touch, No Touch, and Boundary trades. These all offer you different ways to profit in different situations. Boundary trades in particular provide a unique means of profiting; you can literally profit on price not moving in these trades. It’s usually challenging to make money in ranging markets, but with Boundary trades it may be easier. Brokers which offer you rollover and early closure give you even more control over your trades. Option Builder (choose your own expiry period) is also great. Simple to learn and understand. You can learn the basics of how to use binary options online platforms in under five minutes. This shouldn’t lure you into complacency; instead look at it as freeing up your time to learn more about how to trade intelligently and consistently using a trading method. 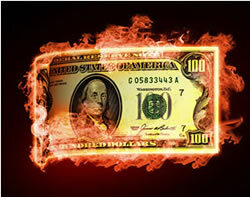 Make no mistake – you can get burned trading binary options online. You should only do so responsibly and with funds you can afford to lose. It’s not all fast money and huge returns. With those returns come risk. Do not forget that. Poor regulation and shady spots in history. Right now so many binary options online brokers are unregulated. In other types of trading (Forex for example), regulation is the norm. This makes it more challenging to find a trustworthy broker. We have however, and strive to only list brokers with a legit history and reputation. Tighter restrictions on trade sizes for the big high rollers. Some brokers have no exposure limits, but most restrict you to investing no more than several thousand dollars at a time, which can be problematic if you have a large bankroll and want to move a lot of money. Limited demo testing capabilities. Note that this doesn’t apply to every binary options online broker—just the majority. If you were going to trade Forex, you’d find that many brokers give you a demo platform you can use indefinitely. Most binary options online brokers seem to skip this altogether, or only provide you with a demo platform you can use for a few days or a few trades. There are a few brokers with less restrictive demo platforms however such as Banc De Binary and MarketsWorld. Simple to learn and understand. Yes, this is arguably also a con. While it’s great to be able to use a trading platform in minutes, it can encourage traders to believe that they know all they need to in order to become profitable in minutes as well, which is never the case. As long as you have realistic expectations and you’re dedicated to putting time into learning what you need to, this should not be a problem for you. One of the biggest cons to trading binary options online is that the fairly short history of online brokers is one filled with story after story of a shady brokers scamming people out of their money. The simplicity of binary options online trading is attractive to scammers looking to take advantage of peoples want to find that easy way to make money. The truth of the matter is there is not a simple solution and even though binary options online are simple to trade, they are not easy! Use a broker that you trust and that is trusted by other traders. Use common sense and do not go crazy investing money you can not afford to lose. If you are trying to make quick cash to pay the bills, binary options online is not it. If you are looking to find the right trades, understand the risk and are ready to take some shots, then sign up at a legit broker (see ) for our current top choices of where to trade.